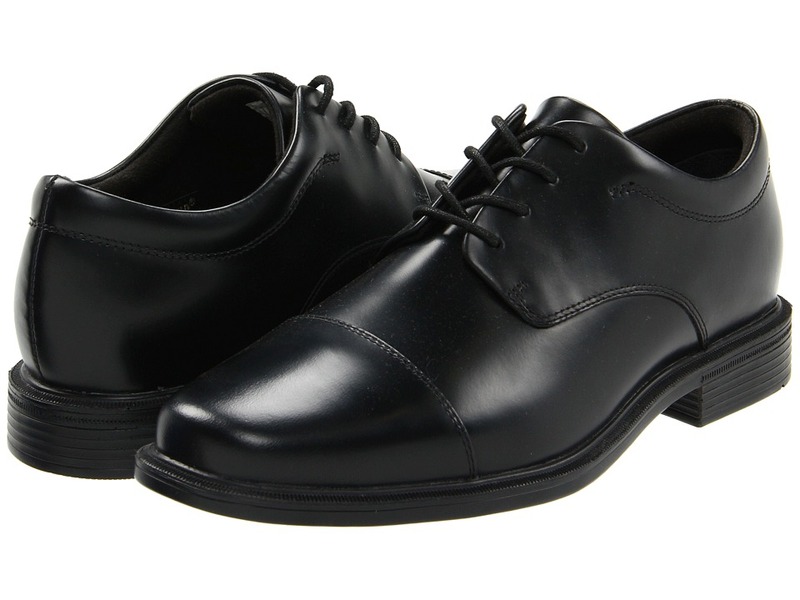 Look your best in the &amp#8216Ellingwood~ cap toe oxford. Blucher design allows for easy adjustability to accommodate various widths. Premium waterproof leather uppers help keep your feet dry and comfortable. Hydro-Shield Construction offers breathable, waterproof protection for a healthy foot environment. Padded tongue and collar provide added cushioning for immediate comfort. Removable, polyurethane Kinetic Air Circulator footbed offers durable cushioning with patented active air circulating technology. Polyurethane outsole offers lightweight and durable support. Imported. Weight of footwear is based on single item, not the pair. The &amp#8216Evander~ oxford will polish your professional wardrobe. 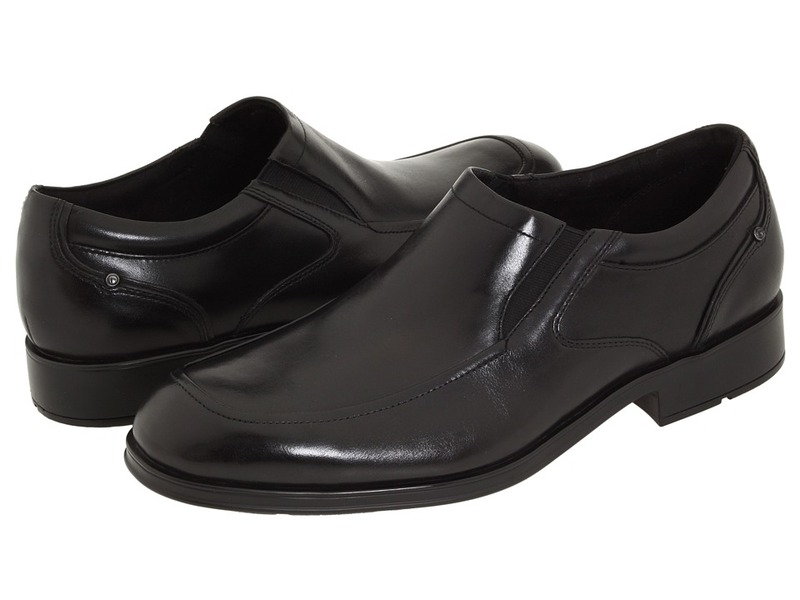 Blucher design allows for easy adjustability to accommodate various widths. Premium waterproof leather uppers help keep your feet dry and comfortable. Padded tongue and collar provide added cushioning for immediate comfort. Removable, polyurethane footbed offers durable cushioning with patented active air circulating technology. Polyurethane outsole offers lightweight and durable support. Hydro-Shield Construction offers breathable, waterproof protection for a healthy foot environment. Imported. Measurements: Heel Height: 1 in Weight: 13 oz Product measurements were taken using size 8, width M (D). Please note that measurements may vary by size. Weight of footwear is based on single item, not the pair. The Almartin is from the Rockport Proper Place collection. 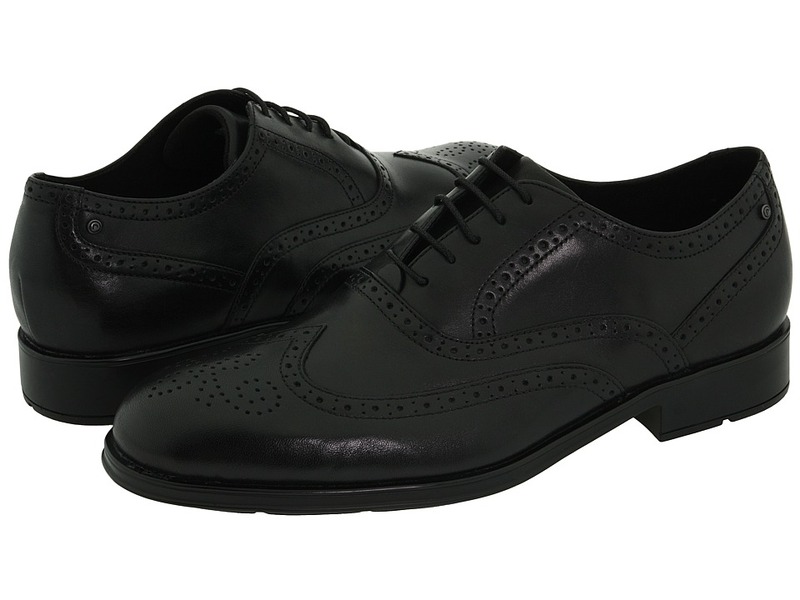 Adda touch of class to your professional wardrobe with the gentleman-inspired Almartin wingtip oxford. Full-grain leather or soft suede upper with brogue detailing and classic wingtip design for a dapper appeal. 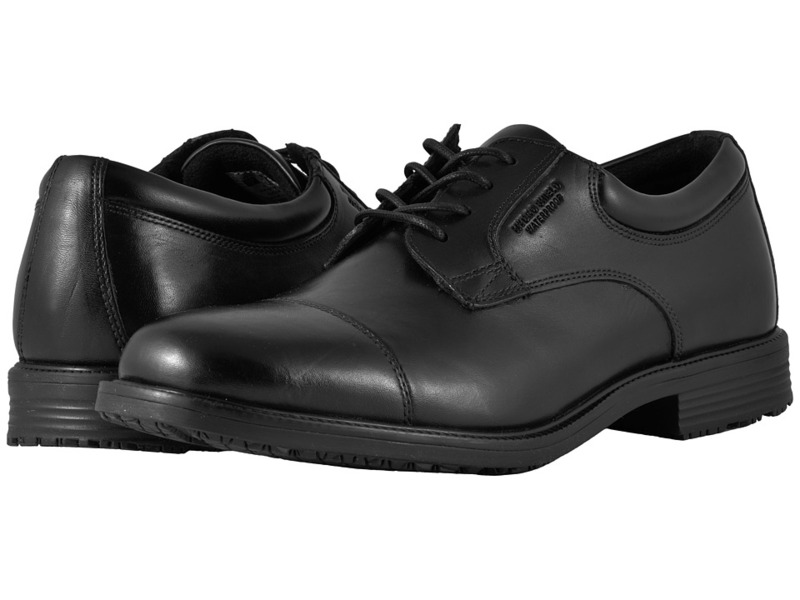 Lace-up closure with round, waxed laces and lightly cushioned collar provides a secure, comfortable wear. Smooth leather lining conforms to the foot for support while wicking away moisture to keep you dry. DMX air chamber sits on top of an EVA footbed that provides air cushioning for a massaging sensation. Polyurethane outsole offers durable shock absorption to reduce fatigue and delivers grip to guarantee sure footing. Measurements: Weight: 12 oz Product measurements were taken using size 7, width M (D). Please note that measurements may vary by size. Weight of footwear is based on single item, not the pair. 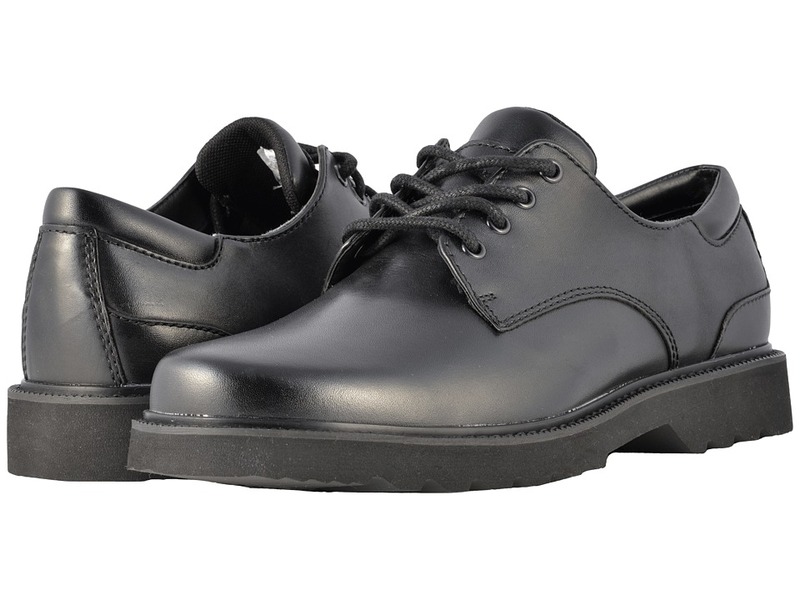 Part of the Rockport&amp#174 Fairwood collection, the Fassler is designed with a padded collar and tongue to help prevent blisters and lace bruising. Say hello to your all-day shoe! 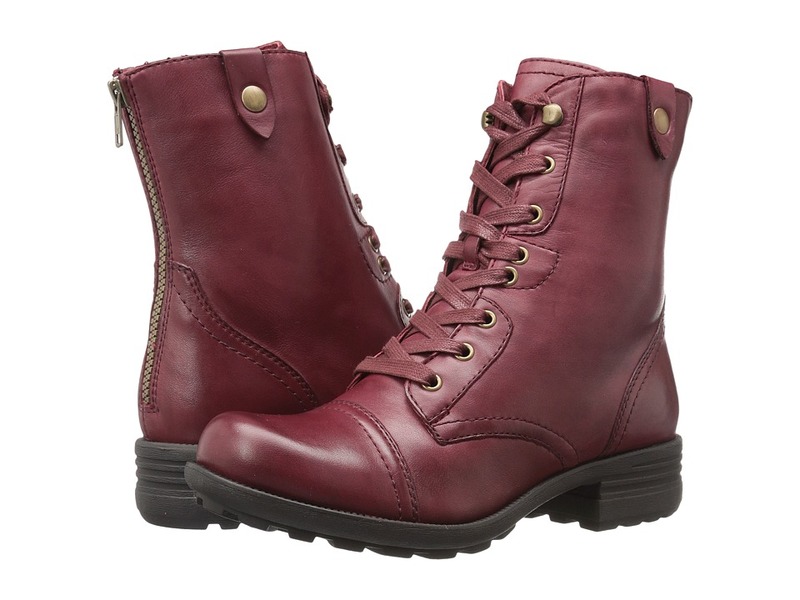 Beautiful full-grain leather upper with dual gore for a comfortable fit. Lightweight comfort system designed to provide shock absorption in the heel and rebound at the forefoot. Durable polyurethane outsole provides shock absorption to help reduce foot fatigue. Measurements: Weight: 14 oz Product measurements were taken using size 9.5, width M (D). Please note that measurements may vary by size. Weight of footwear is based on a single item, not a pair. 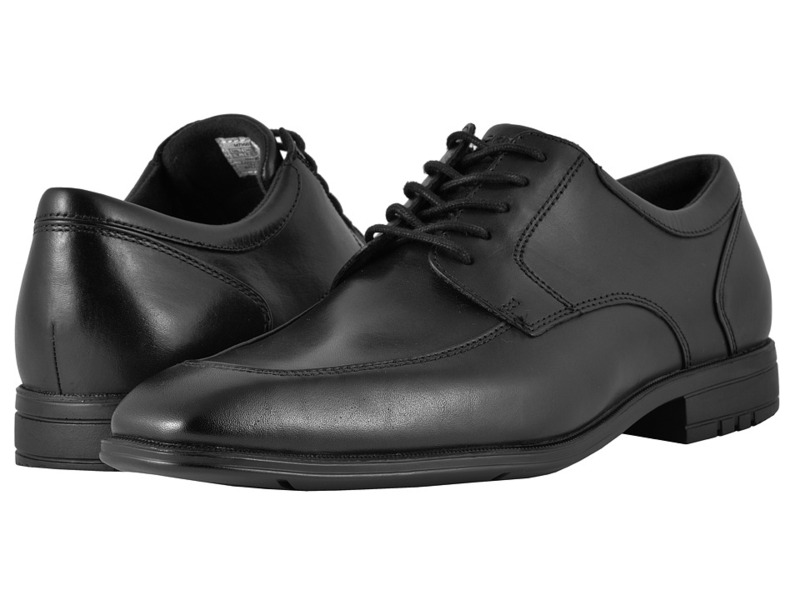 Stay comfortable and look sharp in the Maccullum dress oxford from Rockport&amp#174. Shiny full-grain leather upper with tonal stitching for added style Traditional lacing system and padded collar offers a comfortable, customized fit. Cushioned removable insole delivers all-day support and comfort. Textured rubber outsole delivers durability and dependable grip on varied terrain. Lightweight comfort system designed to provide shock absorption in the heel and rebound at the forefoot. Measurements: Weight: 13 oz Product measurements were taken using size 10, width M (D). Please note that measurements may vary by size. Weight of footwear is based on a single item, not a pair. 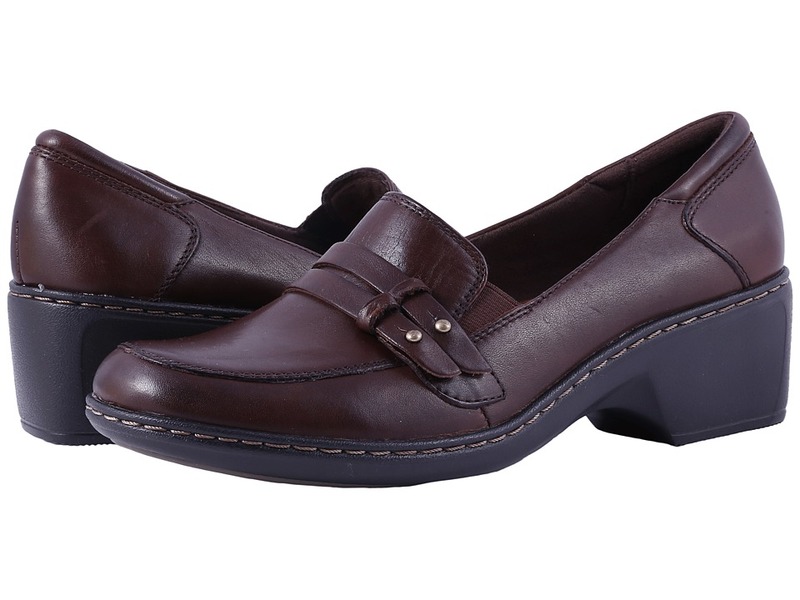 The Alpenglow is a fashionable dress shoe from Rockport&amp#174 that can go seamlessly from the office to the evening. Full-grain leather upper with side goring for a secure and personalized fit. Padded collar and tongue help prevent blisters and lace bruising. DMX chamber on top of EVA footbed provides dynamic air cushioning and massaging sensation. Durable polyurethane outsole with flex grooves delivers flexibility and reliable traction. Measurements: Weight: 13 oz Product measurements were taken using size 9, width M (D). Please note that measurements may vary by size. Weight of footwear is based on a single item, not a pair. 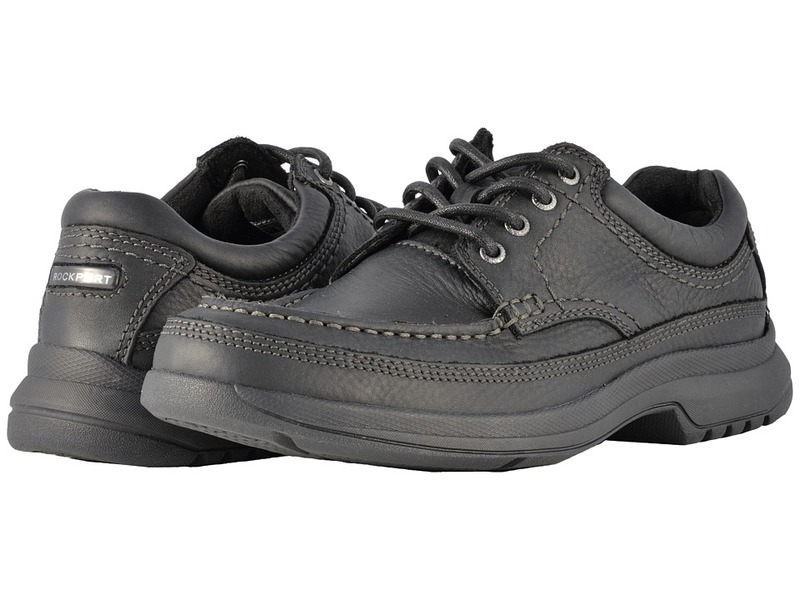 Go from the office to dinner in stylish-ease with the Banni casual lace-up from Rockport&amp#174. Full-grain leather upper with stitch accents for added style. 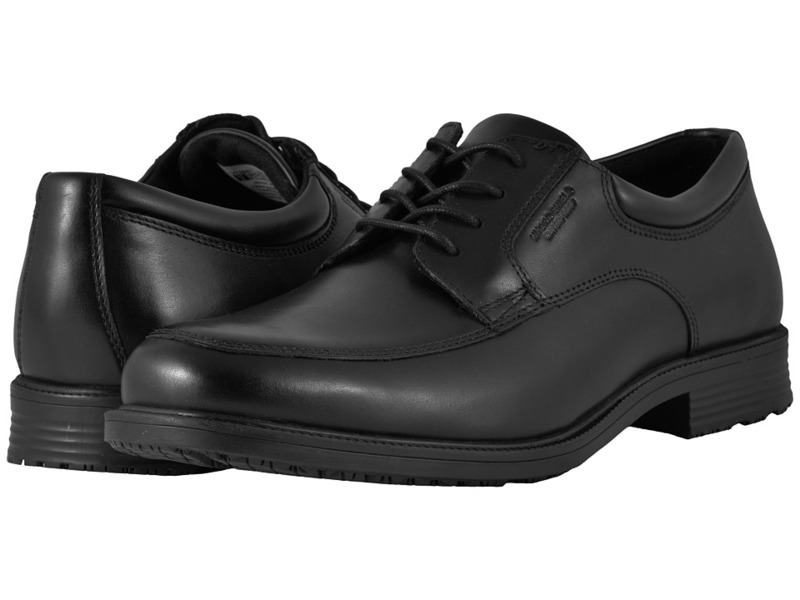 Traditional lace-up closure with metal eyelets provides a customized fit. Fully-padded collar and lightly padded tongue offers all-day comfort. Comfort system designed to provide lightweight shock absorption. Polyurethane outsole with grooves delivers durability and flexibility. Imported. Measurements: Heel Height: 1 1 4 in Weight: 1 lb 1 oz Product measurements were taken using size 9, width M (D). Please note that measurements may vary by size. Weight of footwear is based on a single item, not a pair. Nothing says sophistication and grace quite like the Cobb Hill Paulette. 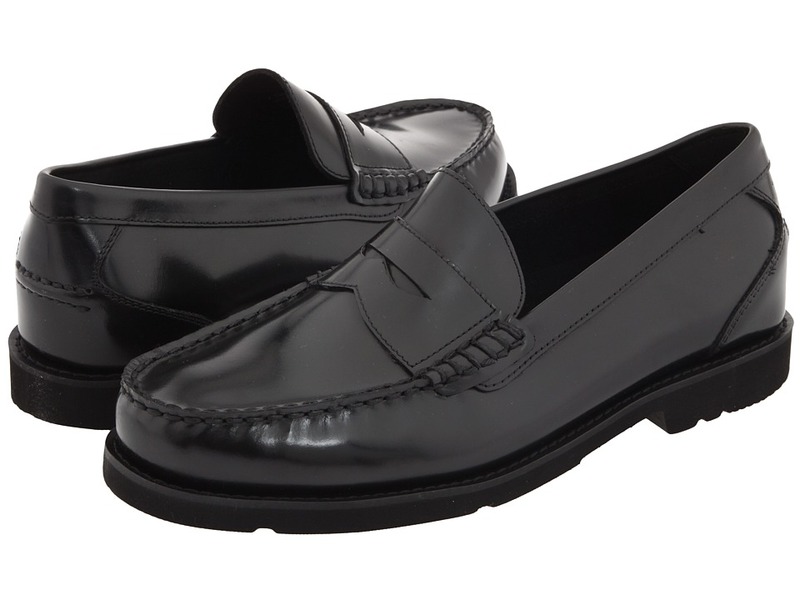 Full-grain leather upper features pleated design with stylish loafer silhouette. Slip-on design makes on and off a breeze. Man-made lining and removable, cushioned footbed. Durable rubber outsole. Imported. Measurements: Heel Height: 1 in Weight: 7 oz Product measurements were taken using size 8, width B - Medium. Please note that measurements may vary by size. Weight of footwear is based on a single item, not a pair. Get a lift of luxurious style with the modern look of the Cobb Hill Deidre. Premium leather upper in a contemporary loafer silhouette. Slip-on design makes on and off a breeze. Textile lining keeps feet feeling breathable. EVA foam footbed for cushioned support. Durable rubber outsole. Imported. Measurements: Heel Height: 2 in Weight: 8 oz Platform Height: 1 2 in Product measurements were taken using size 9, width B - Medium. Please note that measurements may vary by size. Weight of footwear is based on a single item, not a pair. Lace up that style with the functionality and fashion of the Cobb Hill Bethany. Premium leather upper features bold stitching. Back zipper closure and lace-up design. Textile lining keeps feet soft and breathable. EVA foam cushioned footbed for all-day comfort and support. Shock-absorbing, lightweight polyurethane outsole provides stability to maintain your confident stride. Imported. Measurements: Heel Height: 1 1 4 in Weight: 1 lb 1 oz Circumference: 11 in Shaft: 7 1 2 in Product measurements were taken using size 8, width B - Medium. Please note that measurements may vary by size. Weight of footwear is based on a single item, not a pair. 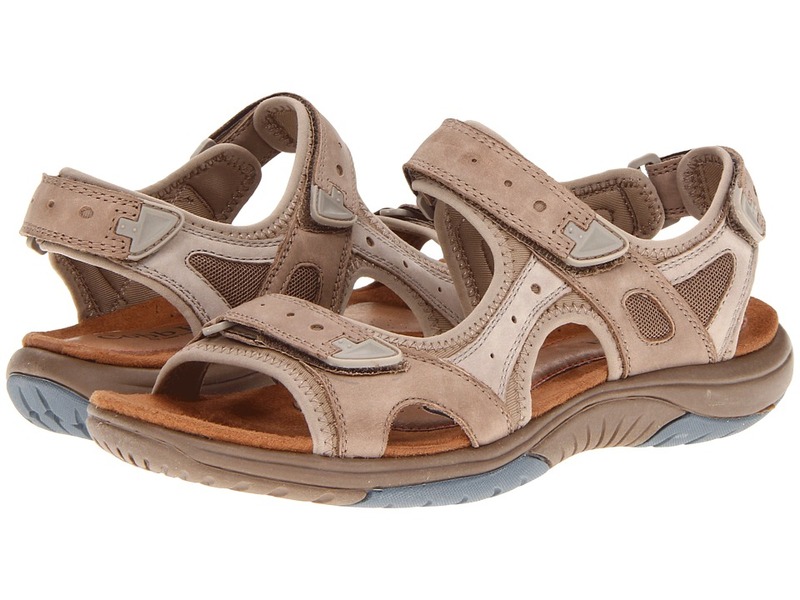 Enjoy this cozy river-inspired sandal for a fun a sporty look. Premium leather and textile upper in contrasting colors for much added visual appeal. Adjustable hook-and-loop closures ensure easy on-and-off wear and a secure fit. 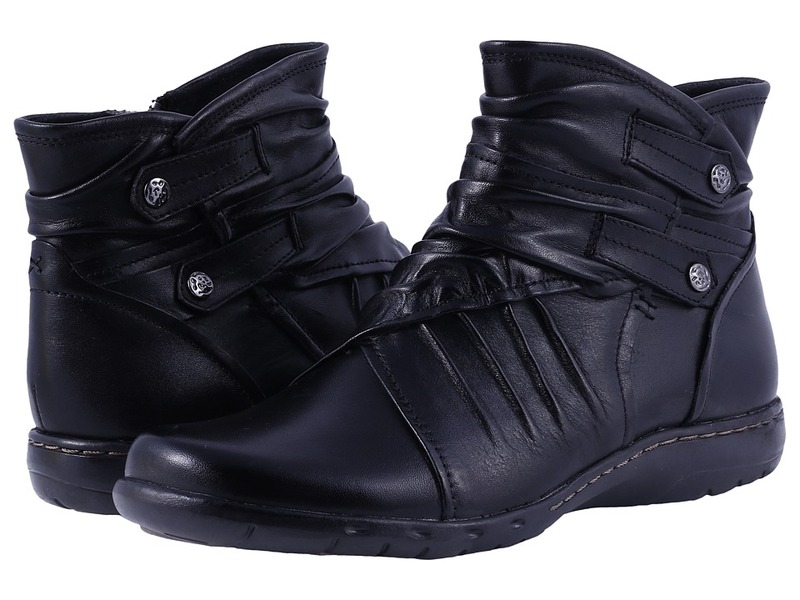 Soft leather lining ensures an abrasion-free environment for all-day wear. EVA cushioned footbed massages the foot with each and every step. Flexible rubber outsole delivers long-lasting durability on a variety or surfaces. Imported. Measurements: Heel Height: 1 1 4 in Weight: 11 oz Product measurements were taken using size 9, width B - Medium. Please note that measurements may vary by size. Weight of footwear is based on a single item, not a pair. 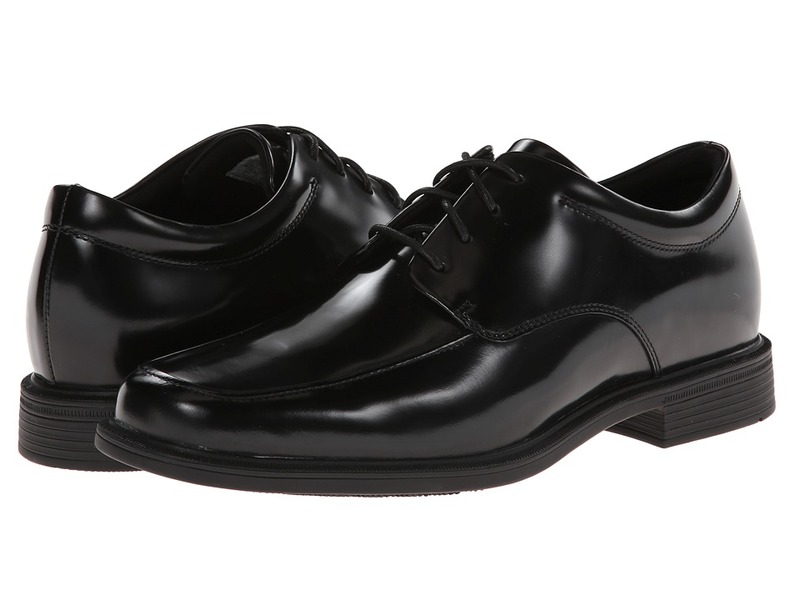 To the office and beyond, make sure you~ve got the look that~s perfect for everyday with these Rockport&amp#174 oxfords. Premium leather upper with Hydro-Shield&amp#174 waterproofing substances tanned into the leather and special seam sealant to keep feet dry during wet conditions. Decorative stitch detailing creates an apron toe design. Lace-up closure allows for an adjustable yet secure fit. Padded tongue and collar provide added cushioning for immediate comfort. Removable polyurethane footbed offers durable cushioning with patented active air circulating technology. Features sport technology in the heel for shock absorption. Polyurethane outsole offers lightweight and durable support. Imported. Measurements: Heel Height: 1 in Weight: 1 lb 1 oz Product measurements were taken using size 12, width W (EE). Please note that measurements may vary by size. Weight of footwear is based on a single item, not a pair. Handsome and stylish, this Rockport&amp#174 style is sure to be the perfect mix of style and function to complement your wardrobe. Premium leather upper with Hydro-Shield&amp#174 waterproofing substances tanned into the leather and special seam sealant to keep feet dry during wet conditions. Lace-up closure allows for an adjustable yet secure fit. Padded tongue and collar provide added cushioning for immediate comfort. Removable polyurethane footbed offers durable cushioning with patented active air circulating technology. Features sport technology in the heel for shock absorption. Polyurethane outsole offers lightweight and durable support. Imported. Measurements: Heel Height: 1 in Weight: 1 lb Product measurements were taken using size 11, width XW (4E). Please note that measurements may vary by size. Weight of footwear is based on a single item, not a pair. 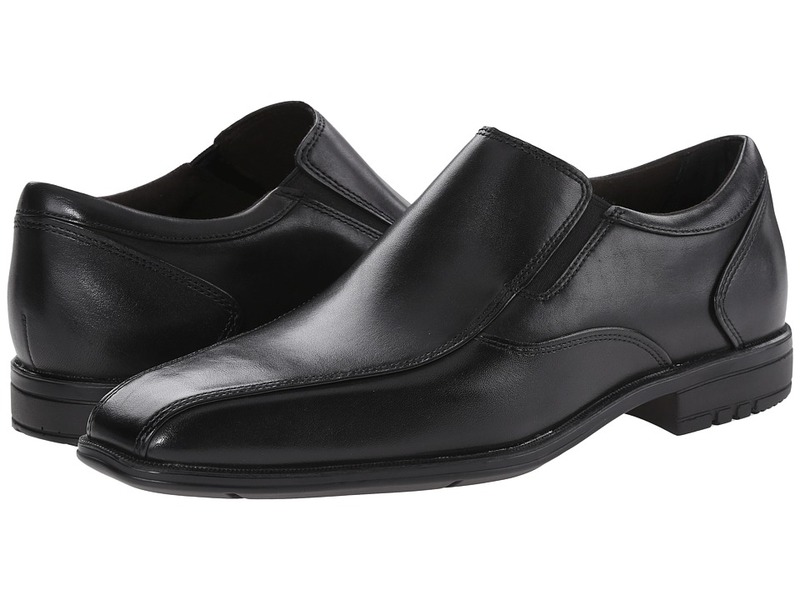 Slip your feet into comfort and style with these handsome Rockport&amp#174 shoes. Premium leather upper with Hydro-Shield&amp#174 waterproofing substances tanned into the leather and special seam sealant to keep feet dry during wet conditions. Extra padding around the collar provides comfort for the heel. Elastic gore at the sides allows for an easy, slip-on fit. Removable polyurethane footbed offers durable cushioning with patented active air circulating technology. Features sport technology in the heel for shock absorption. Polyurethane outsole offers lightweight and durable support. Imported. Measurements: Heel Height: 1 1 4 in Weight: 15 oz Product measurements were taken using size 11, width W (EE). Please note that measurements may vary by size. Weight of footwear is based on a single item, not a pair. 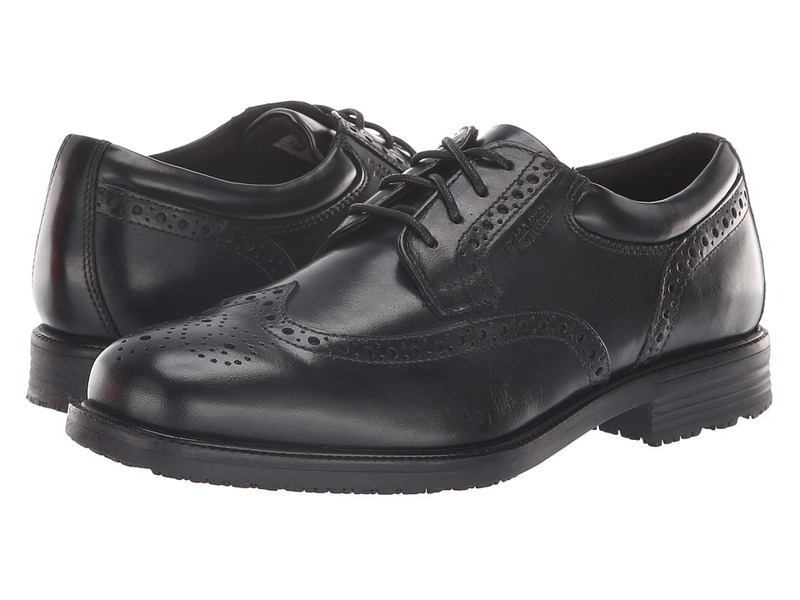 Put your best foot forward every time you step out in the handsome sophistication of these Rockport&amp#174 oxfords. Premium leather upper with Hydro-Shield&amp#174 waterproofing substances tanned into the leather and special seam sealant to keep feet dry during wet conditions. Handsome brogue detailing for a retro-inspired vibe. Lace-up closure allows for an adjustable yet secure fit. Padded tongue and collar provide added cushioning for immediate comfort. Removable polyurethane footbed offers durable cushioning with patented active air circulating technology. Features sport technology in the heel for shock absorption. Polyurethane outsole offers lightweight and durable support. Imported. Measurements: Heel Height: 1 in Weight: 1 lb Product measurements were taken using size 12, width M (D). Please note that measurements may vary by size. Weight of footwear is based on a single item, not a pair. The Stone color way offers a matte suede-like finish. You~re one step ahead of the trends when you~re topping off your look with the Cobb Hill Pandora. 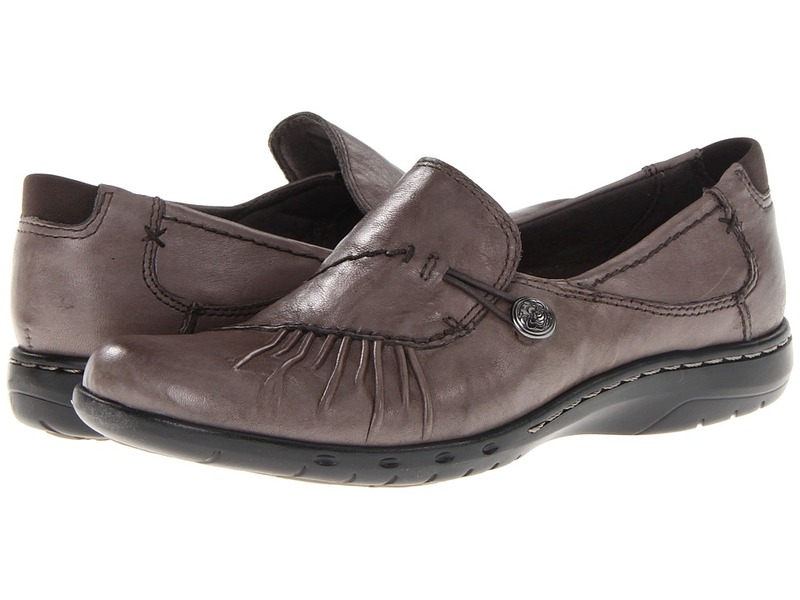 Full grain leather upper with ruching and decorative buttons. Zipper closure for easy on and off. Soft textile lining keeps feet soft and breathable. Removable EVA foam footbed for all-day comfort and support. Shock-absorbing, lightweight rubber outsole provides stability to maintain your confident stride. Imported. Measurements: Heel Height: 1 in Weight: 10 oz Circumference: 11 1 2 in Shaft: 5 in Product measurements were taken using size 8.5, width B - Medium. Please note that measurements may vary by size. Weight of footwear is based on a single item, not a pair.